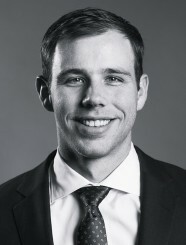 Mr. Wolf is a Valuation Associate that works out of Generational Equity’s Dallas office. He works with the clients to conduct a detailed analysis and prepare valuation and exit planning reports designed to illustrate industry and business performance, projections, and overall enterprise value. Prior to joining Generational Equity, Mr. Wolf worked as an analyst at a private equity firm. He has also has work experience as a tech consultant in the blockchain space and was a media consultant at a public relations firm. Mr. Wolf received his Master’s in Business Administration with an emphasis in Finance and Accounting from Southern Methodist University. He earned a Bachelor’s Degree in Journalism with a minor in Political Science from the University of Missouri. it all started with a conference. The information we learn from customers helps us personalize and continually improve your experience. Here are the types of information we gather. We receive and store any information you enter on our Web site or give us in any other way. We do not sell or rent your personal information to others without your consent. We use the information we collect only for the purposes sending promotional information, enhancing the operation of our site, serving advertisements, for statistical purposes and to administer our systems. We DO NOT use third parties to provide customer service, to serve site content, to serve the advertisements you see on our site, to conduct surveys, to help administer promotional emails, or to administer drawings or contests, but reserve the right to do so in the future without advance notice. By submitting my name electronically and clicking the “submit” button, I understand that I am providing Generational Group, Inc., Generational Equity, LLC, Generational Capital Markets, LLC, DealForce LLC, their affiliates, representatives, contractors, etc. (“Generational Group”) my telephone number, which may include a number that is wireless and/or a number that is on a national, state, or other Do Not Call registry or list. I hereby consent and agree to receive telephone calls including any autodialed and/or pre-recorded telemarketing calls and/or text messages (telemarketing) from or on behalf of Generational Group at the telephone number provided. I further consent and agree that telephone calls may be made using automated technology such as an automatic telephone dialing system, artificial or prerecorded voice, or SMS text messaging. Consent is not a condition of purchase. I further warrant and represent that any telephone number provided is not on any state or national Do Not Call Registry and that by agreeing to these terms and conditions that if any number provided is on any such registry, I hereby consent and agree to receive telemarking calls and/or communications including any phone calls, text messages, URLs, links, emails, etc. to the telephone number(s) and/or any e-mail addresses provided. I understand that by entering my name in the electronic form provided, that I am signing my name as equally as if it was my handwritten signature and that it is my intent to provide an “electronic signature” as that term is defined in state and federal law, as well as industry practices for e-commerce. For reasons such as improving personalization of our service, we might receive information about you from other sources and add it to our account information. Generational Group may license the use of its intellectual property including but not limited to its name, likeness, and logo for the use of affiliated offices. Such affiliated offices may not be owned, controlled, managed, supervised or staffed by employees, officers, or agents of Generational Group. Affiliated offices may be independently owned and operated. For more information about a particular office, please contact Generational Group at its office in Dallas, Texas. Information on this web site may contain technical inaccuracies or typographical errors. Information may be changed or updated without notice. Generational Group may also make improvements and/or changes in the products and/or the programs described in this information at any time without notice. Generational Group does not want to receive confidential or proprietary information from you through our web site. Please note that any information or material sent to Generational Group will be deemed NOT to be confidential. By sending Generational Group any information or material, you grant Generational Group an unrestricted, irrevocable license to use, reproduce, display, perform, modify, transmit and distribute those materials or information, and you also agree that Generational Group is free to use any ideas, concepts, know-how or techniques that you send us for any purpose. Our computer system protects personal information using advanced firewall technology. Information Generational Group publishes on the World Wide Web may contain references or cross references to other products, programs and services that are not announced or available in your country. Such references do not imply that Generational Group intends to announce such products, programs or services in your country. Consult a Generational Group representative for information regarding the products, programs and services which may be available to you. Generational Group makes no representations whatsoever about any other web site which you may access through this one. When you access a non-Generational Group web site, please understand that it is independent from Generational Group, and that Generational Group has no control over the content on that web site. In addition, a link to a non-Generational Group web site does not mean that Generational Group endorses or accepts any responsibility for the content, or the use, of such web site. It is up to you to take precautions to ensure that whatever you select for your use is free of such items as viruses, worms, Trojan horses and other items of a destructive nature. IN NO EVENT WILL Generational Group BE LIABLE TO ANY PARTY OR ANY DIRECT, INDIRECT, SPECIAL OR OTHER CONSEQUENTIAL DAMAGES FOR ANY USE OF THIS WEBSITE, OR ON ANY OTHER HYPERLINKED WEBSITE, INCLUDING, WITHOUT LIMITATION, ANY LOST PROFITS, BUSINESS INTERRUPTION, LOSS OF PROGRAMS OR OTHER DATA ON YOUR INFORMATION HANDLING SYSTEM OR OTHERWISE, EVEN IF WE ARE EXPRESSLY ADVISED OF THE POSSIBILITY OF SUCH DAMAGES. Furthermore, all information contained within this website is the property of Generational Group. Sign up to receive regular email updates on recent deal information, industry-leading insights and complimentary M&A executive conferences in your area.